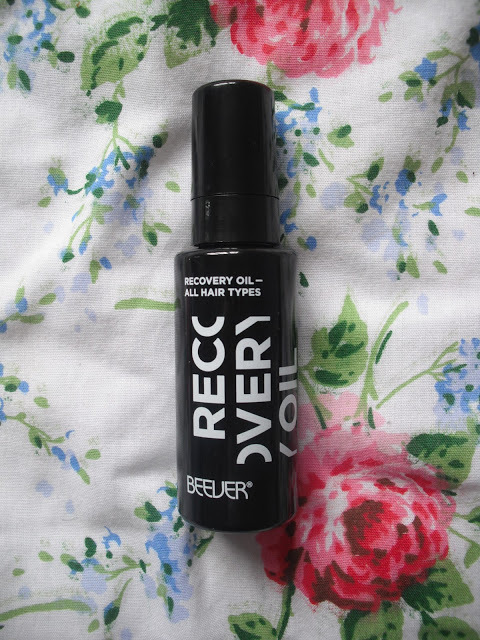 I won my first bottle of Beever Hair recovery oil on Twitter a few months back, and I’ve just won another bottle on their Facebook, which was lucky as I was running out! 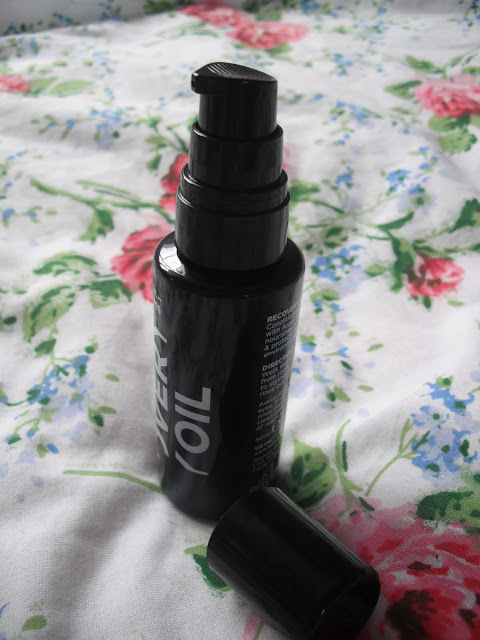 Although I was wary of putting an oily substance into my hair, I will never look back! I thought that it would make my hair greasy or sticky, but I gave it a go anyway, and I was amazed by the results. My hair gets a lot of abuse from me (poor hair!) as I heat style it everyday and colour it sometimes too. I try to use products which will help and protect my hair, but I find some can leave my hair heavy or greasy. However, I found that this argan recovery oil by Beever gives my hair a sleek look, and I also feel that it is protecting my hair from the heat, by coating it with a protective film. 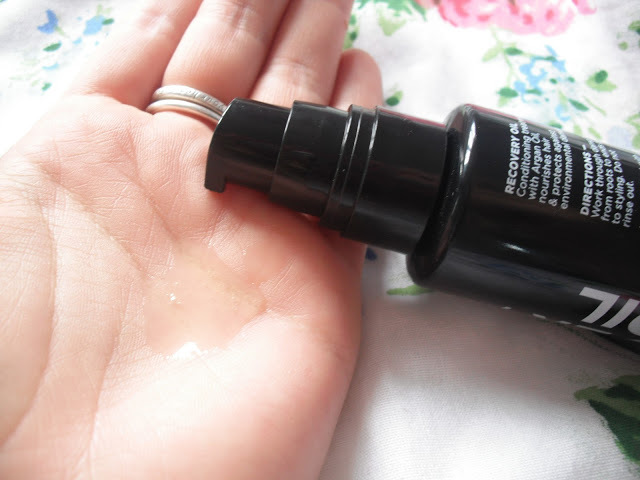 The little 50ml bottle is a perfect size to use when travelling, especially if your on holiday in a warm climate. It has a handy little pump which makes it very easy to use. It is described by Beever as being a finishing and conditioning treatment, made with the oil produced from the fruit of the Moroccan Argan Tree. I couldn’t agree with their own description more! 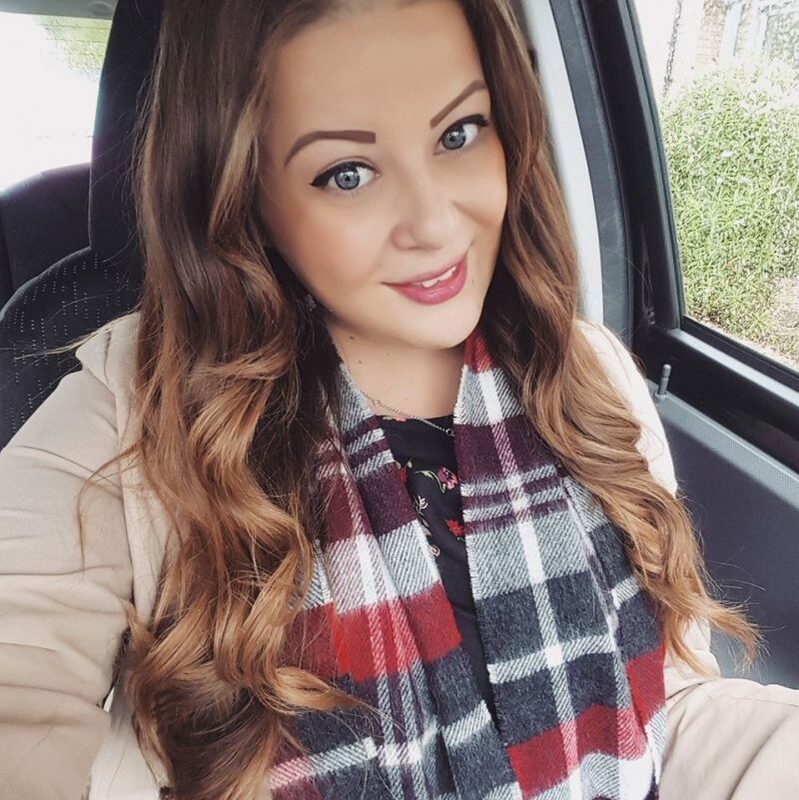 It is very light on my hair, and it gives my hair a soft look whilst still repairing and strengthening and removing any frizz. It also has UV protection.. bonus! To use; after shampooing apply a few drops to the palms of your hands and work through the damp hair from the roots to the ends. Use the oil prior to styling and do not rinse out. You will be left with lovely soft hair! Here’s a little cringey pic of me with my new miracle product after using it. Beever said if I uploaded a photo of myself with the oil to their Facebook page, they would send me another bottle!! Thanks Beever! You can buy the Argan Recovery Oil for £15.60 from their website. Aww your hair is so beautiful!